Volvo Car Group has an outstanding position in the Swedish insurance company Folksam’s latest safety report. Four Volvo models – the S60, V60, V70 and S80 – are on top of the ranking with a 12 per cent margin to the next car on the list. 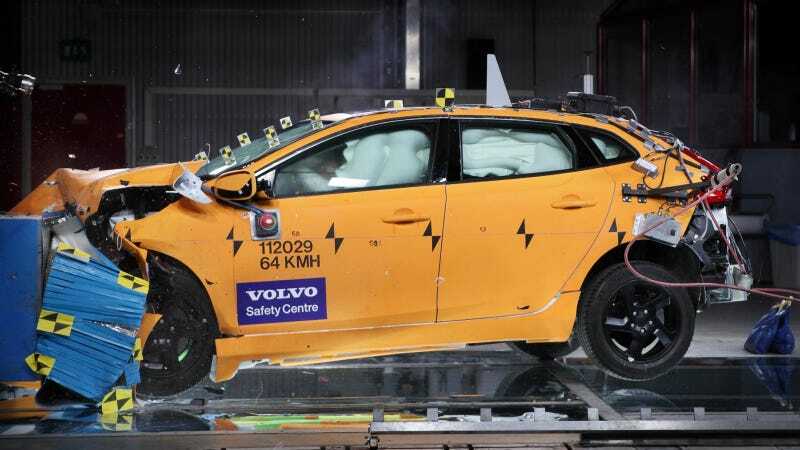 The Volvo S60, V60, V70 and S80 are almost 60 per cent safer than the average car in the report. All models in Volvo’s current range gets a top safety pick recommendation by Folksam. To get this recommendation a car must be 40 per cent safer than the average car. “We are very proud of the result. The report is built on accident data and real traffic conditions, which have always been the starting-point for our own safety work. We focus on areas where our new technologies create significant results in real-life-traffic,” says Thomas Broberg, Senior Advisor Safety at Volvo Car Group. Volvo Cars’ knowledge-driven approach to car safety is based on findings by the company’s own Traffic Accident Research team, which has been operative for more than 40 years. All Volvo models come with the stability system DSTC (Dynamic Stability and Traction Control), and the whiplash protection system WHIPS as standard. The auto brake system City Safety is also standard equipment in all new models. “Over the years, the risk of being injured in a Volvo has been reduced continuously and substantially. By introducing new preventive and protective systems, we keep moving towards our aim that by 2020 no one should be seriously injured or killed in a new Volvo. Our long-term vision is that cars should not crash,” says Thomas Broberg. The Folksam study evaluates the safety performance of 238 car models that have been involved in 158,000 accidents that have been reported to the Swedish police between 1994 and 2013. The information is combined with medical reports about 38,000 injured persons in traffic accidents between 2003 and 2013.